Hello! 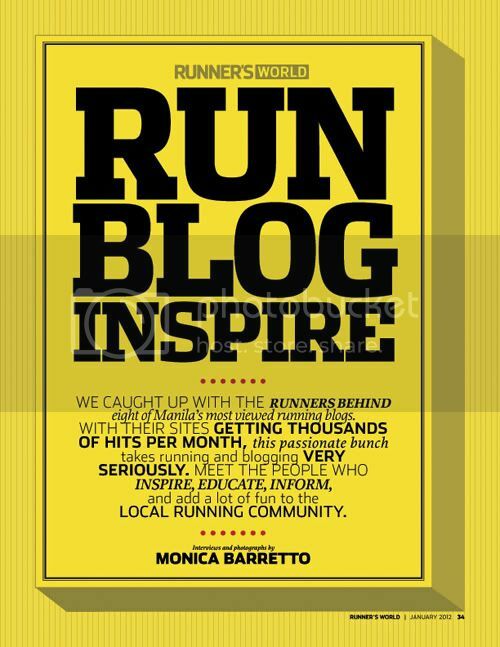 You're on the Runner’s World January-March 2012: Top Running Bloggers page. The January-March 2012 issue of the Runner’s World Philippine edition has a feature on eight running bloggers. I’m honored to be one of those chosen for the feature. Posted by Noelle De Guzman on Tuesday, February 14th, 2012 at 5:28 pm and filed under Media.